Rannoch and Tummel is a very special area of natural beauty. The lochs and much of the surrounding countryside have protective status such as Special Area of Conservation (SAC) and Site of Special Scientific Interest Status (SSSI). 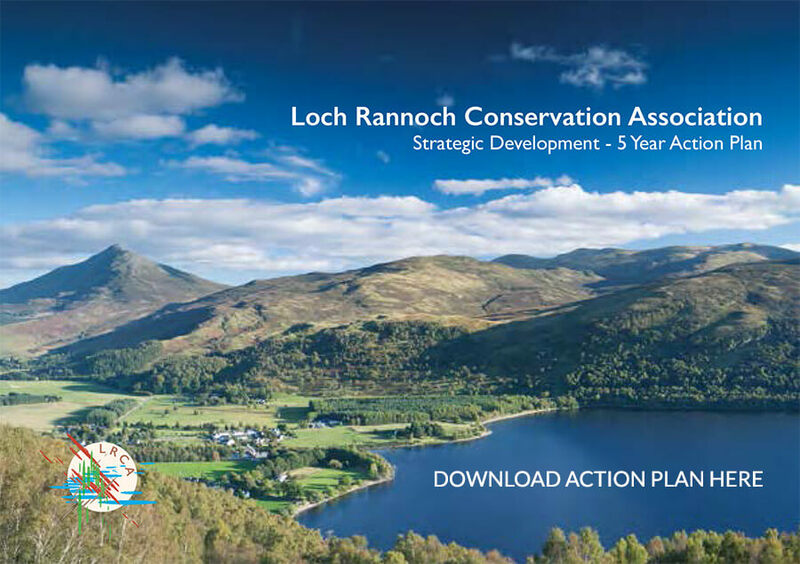 The Loch Rannoch Conservation Association (LRCA) is an important leadership body with others for the protection and enhancement of this unique bio-diverse and scenic area in Scotland. Our plan is both ambitious and necessary and we look forward to achieving our aims and objectives thereby bringing on real benefits for all people who live in and visit the area, and the wider environmental and conservation community as a whole. Of The Loch Rannoch Conservation Association. work in co-operation or partnership with other similar organisations nationally and internationally. Own boat launch - Non-motorised boats from roadside - Free. Please do not park in passing places. No unauthorised vehicles on private land. Motorised boats (Max speed 12 knots Max engine 4 HP). Permits required. Fishing for Brown Trout, Pike & Arctic Charr is available by permit only to comply with the River Tummel Protection Order (renewed 1994).